Matthew Whitaker, then a Republican candidate for Senate in Iowa, before a live televised debate in 2014. 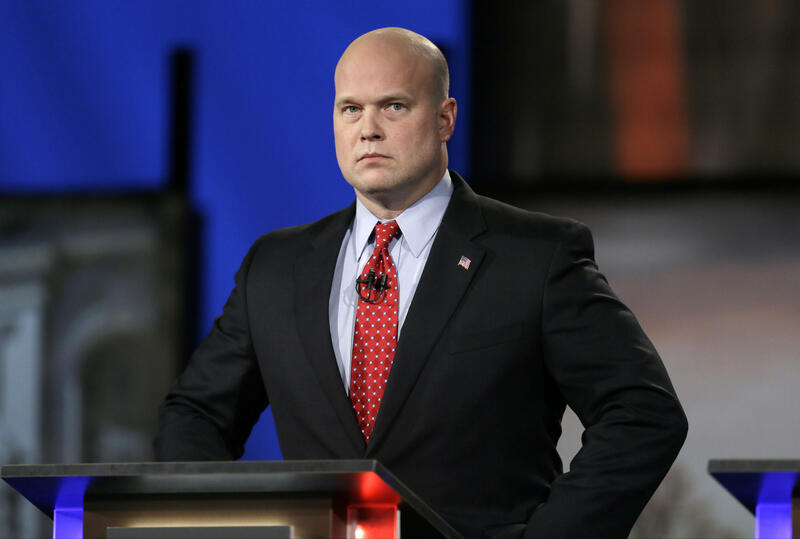 Maryland is challenging Whitaker's appointment as U.S. acting attorney general. Maryland has filed a legal challenge to Matthew Whitaker’s appointment as U.S. acting attorney general. The move is part of an ongoing lawsuit aimed at protecting the Affordable Care Act. The legal filing argues that the appointment violates the Constitution and the Attorney General Succession Act, which requires the deputy attorney general to fill the vacancy. Maryland Deputy Attorney General Carolyn Quattrocki said that as a result, the state’s lawsuit is effectively put on hold. The state’s lawsuit challenges a move by the Justice Department to stop enforcing provisions of the Affordable Care Act that protect people with pre-existing health conditions and require everybody to buy insurance. Attorney General Jeff Sessions said earlier this year that those provisions will become unconstitutional on Jan. 1, as a result of the tax cuts Congress passed late last year.